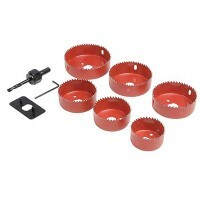 Silverline 633729 Holesaw Kit Features Holesaw kit 16 piece. 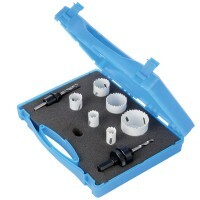 Heat treated teeth. 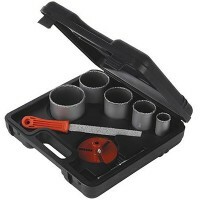 ..
Silverline 273220 Holesaw Kit Bi-Metal For Electricians Features Holesaw kit bi-metal for..
Silverline 595745 Downlight Installers Holesaw Kit Features Downlight installers holesaw ..
Silverline 595759 Plumbers Holesaw Kit Bi-Metal Features Holesaw kit bi-metal for plumber..
Silverline 633479 Holesaw Kit Features Complete 10 piece set. 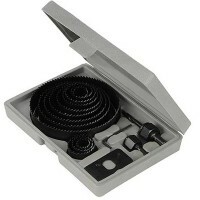 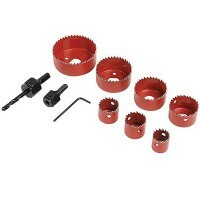 Includes the popular ..
Starrett Universal Holesaw Kit Features Designed for universal use with the most commonly..
Silverline 633621 Tungsten Carbide Grit Holesaw Kit Features 8 piece kit. 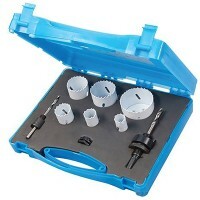 Tungsten ..